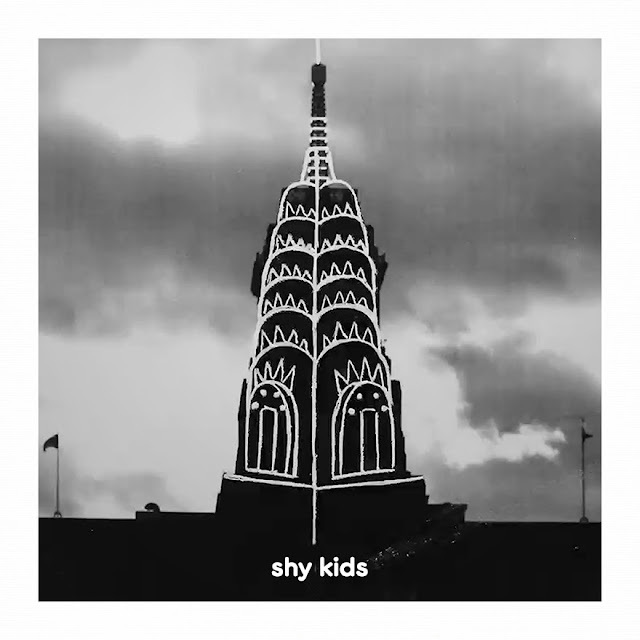 Toronto’s shy kids *no caps / no the* have premiered the video for their new single“I was in new york” today via AltCitizen – share via Vimeo – to announce a New York release celebration of their sophomore album, in a state, March 25 – a day show at Baby’s All Right feat. special guests. in a state will arriveFebruary 23 on Culvert Music, with a hometown performance in Toronto the night prior, February 22 at Lee’s Palace. in a state is a complete audio/visual travel guide taking the listener from Toronto to New York to Los Angeles in airplanes, hotels on the city streets, bustling with people. The album follows shy kids’ 2015 debut, Lofty!, which gained a cult following due to their sickly sweet video for “® o c k e t s” (which was made entirely out of candy). 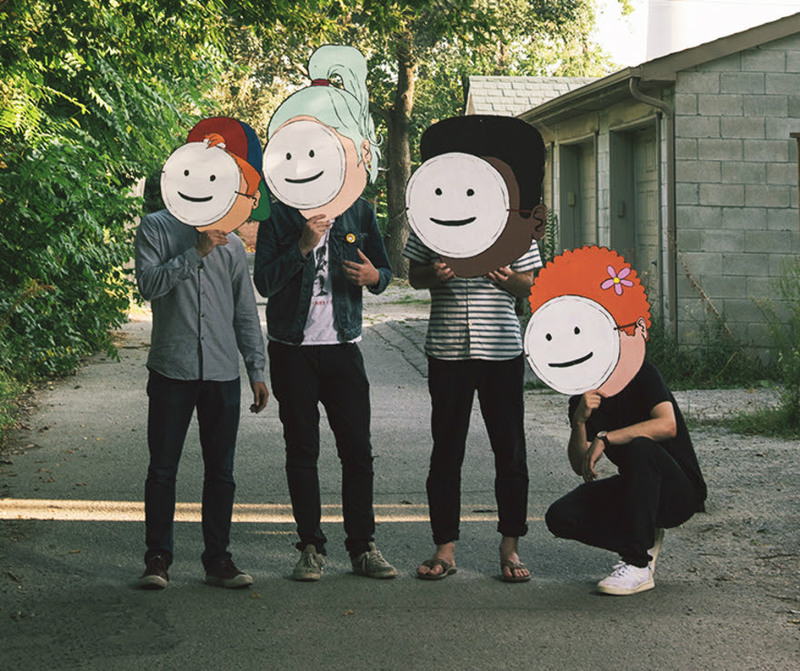 Making crazy viral videos is nothing new for the band creating everything from viral videos to short films, marketing campaigns for brands to videos for bands, shy kids have worked with Alvvays, VICE, MTV, Garfunkle and Oates, Shania Twain, Spotify, Snapchat, and Netflix amongst many other. Their 2013 short film ‘Noah’ won “Best Short Film” at the Toronto International Film Festival in 2015, garnering tremendous praise from outlets such as The New Yorker, VICE, Mashable, Gawker, Hollywood Reporter, while amassing well over 10 million views. The opportunity to create visually, afforded shy kids the opportunity to travel to the U.S. where they tried desperately to make it in the land of opportunity. Rapidly feeling their boyhood dreams were shifting into vaudeville nightmares, they began writing songs about the states they were at, both physically and mentally. These songs came together form in a state. Attempting to capture the spirit of America, the record is big, brash, and loud. They teamed up with an orchestra to bring their anthemic visions to life, launching the band’s sound out of their bedrooms and into the stratosphere. Our dreams are visual though, as well as sonic, and so shy kids created a fully realized album, both audio and visual, over the record’s nine tracks. Their version of DIY Lemonade. in a state is a colourful journey through the landscapes of America and their collective minds.